You can buy 3 awesome Indie Linux Games from a newly launched gaming portal Indievania. Indievania is an online game marketplace for independent developers to sell their games directly to players. Unlike any other game distributors, 100% of the cost of the game goes to the developer. Customers can purchase games directly from the developers own merchant account, supporting the original developers and helping fund further development. Indievania currently have over 200 indie games on the site, all DRM-free. To celebrate the launch, many games are on sale with as much as 80% off. Check out the Linux game that you can purchase for as low as $1. 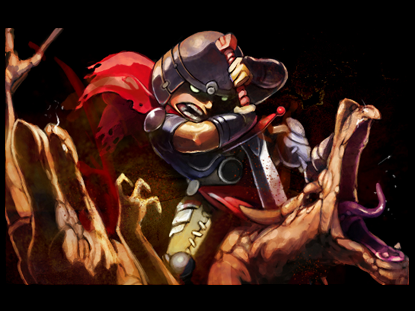 Cardinal Quest is an arcade-style dungeon-crawler inspired by 1980s classics such as Gauntlet, Red-Box D&D and Golden Axe. Choose your champion and begin your quest to slay the Evil Minotaur. You are the Tetrobot: a tiny robot that can drill blocks of matter one by one, collect them, and recycle them into new pieces of 4 blocks. You also have the possibility to destroy lines of 8+ blocks. Sand, wood, stone, obsidian, iron, diamond: each matter has its specific behavior you'll have to use wisely and take advantage of them. Inside a Star-filled Sky is an infinite, recursive, tactical shooter by award-winning designer Jason Rohrer (Passage, Between). What if you could enter an object in a level and find a level inside of it? What if you could enter an object in that level and find another level inside of that? What if you could change an enemy or a power-up from the inside? What if you could enter and change yourself? What if these levels inside levels inside levels went all the way down---and all the way up? Inside a Star-filled Sky is a hard, procedurally-generated shmup built around this core concept.